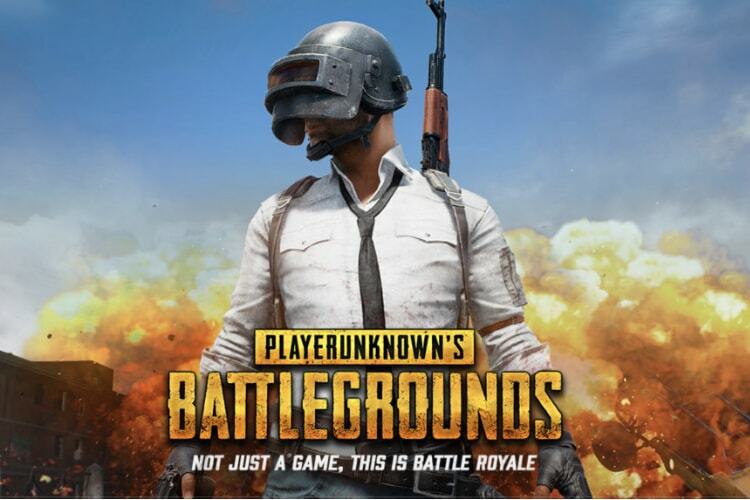 PlayerUnknown’s Battlegrounds, the smash hit multiplayer survival game, has achieved a new milestone with over 30 million copies sold. 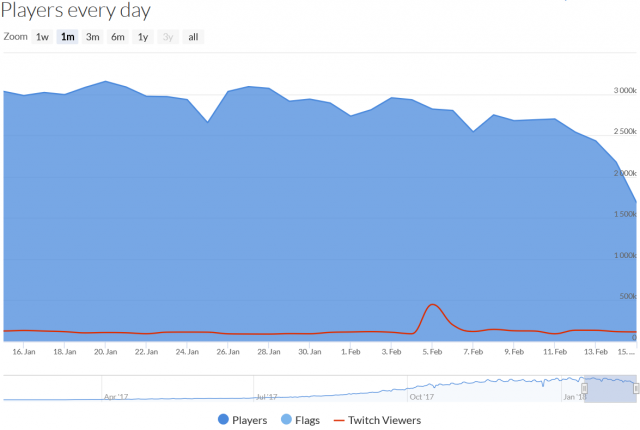 Although this is great news for the developers of the game, the data provided by Steam’s own API indicates that the number of active players has sharply decreased. According to SteamCharts, the drop was around 2 percent compared to 30 days earlier. However, it has now gone up to 5 percent. Here’s the chart from SteamDB that gives us a better idea of the falling numbers. PUBG recorded the most number of players in January (3.257 million players); however, the numbers have been going down ever since. In fact, the game never managed to hit the same mark again, and the drops are becoming more severe. Yuji Nakamura, Bloomberg’s reporter, shared the news on Twitter and suggested that cheaters are to be blamed for the drop in numbers. That said, the developers are already doing their part to reduce the number of cheaters in the game. Bluehole recently implemented some anti-cheat measures and also promised to share an updated roadmap for early 2018 soon. But regardless of the declining numbers, PUBG still dominates Steam’s most played games. The game is not even a year old yet, but it still manages to get more players than the top ten games on Steam combined. In case you hadn’t bought the game yet, you can grab a copy from Steam. Valve is also having the annual Lunar New Year sale, and you can check out our post detailing some of the best deals on the platform.